learning styles: how does Daniel Willingham see them? The question refers to the learning styles model used in many schools which assumes that children learn best using their preferred sensory modality – visual, auditory or kinaesthetic. Fleming’s VARK model, and the more common VAK variant, frame learning styles in terms of preferences for learning in a particular sensory modality. Other learning styles models are framed in terms of individuals having other stable traits in respect of the way they learn. Willingham frames the VAK model in terms of abilities. He summarises the relevant cognitive science research like this; “children do differ in their abilities with different modalities, but teaching the child in his best modality doesn’t affect his educational achievement” and goes on to discuss what cognitive science has to say about sensory modalities and memory. Willingham’s response is informative about the relevant research, but I think it could be misleading. For two reasons; he doesn’t differentiate between groups and individuals, and doesn’t adequately explain the role of sensory modalities in memory. In the previous post I mentioned the challenge to researchers posed by differences at the population, group and individual levels. Willingham’s summary of the research begins at the population level “children do differ in their abilities with different modalities” but then shifts to the individual level “but teaching the child in his best modality doesn’t affect his educational achievement” [my emphasis]. Even if Willingham’s choice of words is merely a matter of style, it inadvertently conflates findings at the group and individual levels. Group averages tell you what you need to know if you’re interested in broad pedagogical approaches or educational policy; in the case of learning styles, there’s no robust evidence warranting their use as a general approach in teaching. It doesn’t follow that individual children don’t have a ‘best’ (or more likely ‘worst’) modality, nor that they can’t benefit from learning in a particular modality. For example, Picture Exchange Communication System (PECS) and sign languages are the only way some children can communicate effectively and ‘talking books’ gives others access to literature that would otherwise be out of their reach. On his learning styles FAQ page, Willingham claims this is a matter of ‘ability’ rather than ‘style’; but ability is likely to have an impact on preference. Willingham goes on to explain “a few things that cognitive scientists know about modalities”. His first claim is that “memory is usually stored independent of any modality” [Willingham’s emphasis]. “You typically store memories in terms of meaning — not in terms of whether you saw, heard, or physically interacted with the information”. He supports this assertion with a finding from research into episodic memory – that whilst people are good at remembering the gist of a story, they tend to be hazy when it comes to specific details. His claim appears to be further supported by research into witness testimony. People might accurately remember a car crashing into a lamppost, but misremember the colour of the car; they correctly recall the driver behaving in an aggressive manner, but are wrong about the words she uttered. Willingham then extends the role of meaning to the facet of memory that deals with facts and knowledge – semantic memory. He says “the vast majority of educational content is stored in terms of meaning and does not rely on visual, auditory, or kinesthetic memory” and “teachers almost always want students to remember what things mean, not what they look like or sound like”. He uses the example ‘a fire requires oxygen to burn’ and says “the initial experience by which you learned this fact may have been visual (watching a flame go out under a glass) or auditory (hearing an explanation), but the resulting representation of that knowledge in your mind is neither visual nor auditory.” Certainly the idea of a fire requiring oxygen to burn might be neither visual nor auditory, but how many students will not visualise flames being extinguished under a glass when they recall this fact? Willingham’s second assertion about memory and sensory modalities is that “the different visual, auditory, and meaning-based representations in our minds cannot serve as substitutes for one another”. He cites a set of experiments reported by Dodson and Shimamura (2000). In the experiments a list of words was read to participants by either a man or a woman. Participants then listened to a second list and were asked to judge which of the words had been in the first list. They were also asked whether a man or woman had spoken the word the first time round. People were five times better at remembering who spoke an item if a test word was read by the same voice than if it was read by the alternative voice. But mismatching the voices didn’t make a difference to the number of words that were recognised. Dodson and Shimamura see the study as demonstrating that memory is highly susceptible to sensory cues. But Willingham’s conclusion is different; “this experiment indicates that subjects do store auditory information, but it only helps them remember the part of the memory that is auditory — the sound of the voice — and not the word itself, which is stored in terms of its meaning.” This is a rather odd conclusion, given that almost all the words in the experiments were spoken, so auditory memory must have been involved in recognising the words as well as identifying the gender of the speaker. I couldn’t see how the study supported Willingham’s assertion about substitute modalities. And substitute modalities are widely used and used very effectively; writing, sign language and lip-reading are all visual/kinaesthetic substitutes for speech in the auditory modality. Willingham’s third assertion is “children probably do differ in how good their visual and auditory memories are, but in most situations, it makes little difference in the classroom”. That’s a fair conclusion given the findings of reviews of learning styles studies. He also points out that studies of mental imagery suggest that paying attention to the modality best suited to the content of what’s being taught, rather than the student’s ‘best’ modality, is more likely to help students understand and remember. Meaning is one of those rather fuzzy words that people use in different ways. It’s widely used to denote the relationship between a symbol and the entity the symbol represents. You could justify talking about memory in terms of meaning in the sense that memory consists of our representations of entities rather than the entities themselves, but I don’t think that’s what Willingham is getting at. I think when he uses the term meaning he’s referring to schemas. The sequence of a series of events, the gist of a story and the connections between groups of facts are all schemas. There’s no doubt that in the case of complex memories, most people focus on the schema rather than the detail. And teachers do want students to remember the deep structure schemas linking facts rather than just the surface level details. But our memories of chains of events, the plots of stories and factual information are quite clearly not “independent of any modality”. Witnesses who saw a car careering down a road at high speed, collide with a lamppost and the driver emerge swearing at shocked onlookers, might focus on the meaning of that series of events, but they must have some sensory representation of the car and the driver’s voice in order to recall those meaningful events. And how could we recall the narrative of Hansel and Gretel without a sensory representation of two children in a forest, or think about a fire ceasing to burn in the absence of oxygen without a sensory representation of flames and then no flames? I found it difficult to get a clear picture of Willingham’s conceptual model of memory. When he says “the mind is capable of storing memories in a number of different formats”, and “some memories are stored visually, some auditorily, and some in terms of meaning“, one could easily get the impression that memory is neatly compartmentalised, with ‘meaning’ as one of the compartments. That impression wouldn’t be accurate. In the brain, sensory information (our only source of information about the outside world) is carried in networks of neurons – brain cells. The pattern of activation in the neural networks forms the representations of both real-time sensory input and of what we remember. It’s like the way an almost infinite number of images can be displayed on a computer screen using a limited number of pixels. It’s true that sensory information is initially processed in areas of the brain dedicated to specific sensory modalities. But those streams of information begin to be integrated quite near the beginning of their journey through the brain, and are rapidly brought together to form a bigger picture of what’s happening that can be compared to representations we’ve formed previously – what we call memory. The underlying biological mechanism appears to be essentially the same for all sensory modalities and for all types of memory – whether they are of stories, sequences of events, facts about fire, or, to cite Willingham’s examples, of Christmas trees, peas, or Clinton’s or Bush’s voice. ‘Meaning’ as far as the brain is concerned, is about associations – which neurons are activating which other neurons and therefore which representations are being activated. Whether we remember the gist of a story, a fact about fire, or what a Christmas tree or frozen pea looks like, we’re activating patterns of neurons that represent information associated with those events, facts or objects. Real life experiences usually involve incoming information in multiple sensory modalities. We very rarely encounter the world via only one sensory domain and never in terms of ‘meaning’ only – how would we construct that meaning without our senses being involved? Having several sensory channels increases the amount of information we get from the outside world, and increases the likelihood of our accessing memories. A whiff of perfume or a fragment of music can remind us vividly of a particular event or can trigger a chain of factual associations. Teachers are indeed focused on the ‘meaning’ of what they teach, but meaning isn’t divorced from sensory modalities. Indeed, what things look like is vitally important in biology, chemistry and art. And what they sound like is crucial for drama, poetry or modern foreign languages. In his American Educator piece, Willingham agrees that “children do differ in their abilities with different modalities“. But by 2008 he was claiming in a video presentation that Learning Styles Don’t Exist. The video made a big impression on teacher Tom Bennett. He says it “explains the problems with the theory so clearly that even dopey old me can get my head around it”. Tom’s view of learning styles is the subject of the next post. Dodson, C.S. and Shimamura, A.P. (2000). Differential effects of cue dependency on item and source memory. Journal of Experimental Psychology: Learning, Memory and Cognition, 26, 1023-1044. Willingham, D (2005). Ask the cognitive scientist: Do visual, auditory, and kinesthetic learners need visual, auditory, and kinesthetic instruction? American Educator, Summer. •	cognitive science demonstrates that the myths are wrong. Broadly speaking, a challenge to the dominant orthodoxy of the education system is certainly overdue and cognitive science is a good place to start. But when it comes down to specifics I felt that Daisy’s analysis of the ideas, her understanding of the grounds for challenging them, and the conclusions she draws don’t stand up to scrutiny. The discrepancy between the surface plausibility of the arguments and their underlying structure would explain why this book been both lauded and criticised. Whether you laud it or criticise it will depend on the level at which you read it. The evidence from theory and practice the author sets out supports her thesis that some ideas predominate in educational theory and that teachers are encouraged, if not pressurised, into implementing those ideas. But that’s not all there is to it; there are things missing from the analysis. The English education system is complex, so the quality of education students get is dependent on a range of factors. These include not only the ideas that shape the content of teacher training, the content of the curriculum and the criteria used in Ofsted inspections, but the structure of the system itself, the framework of accountability and expectations about what the system should achieve. No author could tackle everything in one book, of course, but the ideas that shape teacher training and practice need to be assessed in the context of the system as a whole, so a brief explanation of Daisy’s view of the other factors would have been helpful. •	assuming that subscribing to an idea that resembles one myth implies subscribing to other myths. For some myths (3, 4, 5 and 6) the only difference between the theoretical evidence and the modern practice described is that the two sections contain different quotations – the sources are the same. This might be because the myths in question don’t have a theoretical basis; we’re not told. But given the author’s claim that she’s interested in tracing ideas (p.6) her failure to identify the roots of some of the myths is disappointing. An exploration of their origins might have shed some light on why they’ve been adopted. For most of the myths, several examples of theory and practice are about ideas related to the myth, not the myth itself. For example, questioning the reliability or validity of facts is equated to ‘facts prevent understanding’; calling for holistic and coherent curriculum content to ‘projects and activities are the best way to learn’; and advocating a degree of autonomy in learning to ‘teaching knowledge is just indoctrination’. This conflation would account for the ‘illogical’ criticism Daisy complains about on her blog – people claiming that the myths don’t exist whilst simultaneously agreeing that she has found examples of them presented as best practice. If several related but different ideas are being conflated and treated as one, it’s not surprising that confusion has followed. In several chapters the theoretical evidence refers to myths and related ideas other than the one the chapter purports to be about. The theoretical evidence for myth 2, ‘teacher-led instruction is passive’, refers to children’s difficulties with constant questions and with learning to read, interdisciplinary learning and the power relationship between pupil and teacher, rather than passivity. Evidence for myth 7, ‘teaching knowledge is just indoctrination’, includes questioning the objectivity of facts and advocating interdisciplinary activities and projects, rather than teachers indoctrinating children. You could argue that people who subscribe to one myth (or ideas related to it) often do subscribe to other myths (or ideas related to them). But the author’s case rests on evidence of the prevalence of seven quite specific ideas. She also claims to trace those ideas from theory to practice (p.6). Her case would have been stronger if she’d been able to do that with more precision. To illustrate how ideas are handled in this book, it’s worth taking a closer look at one of the foundational myths – myth 1 ‘facts prevent understanding’. Daisy attempts to demonstrate the theoretical basis of the myth ‘facts prevent understanding’ by quoting from Rousseau, Dewey, Freire and Dickens. But the quotations are actually about ideas other than ‘facts prevent understanding’. Rousseau expected children to learn facts via nature rather than formal schooling, Dewey objected to pedagogical methods that prevented children learning, Freire explicitly objects to the ‘banking’ approach in education because it conceals facts from children (Freire p.83) and Dickens’ concern was that facts alone were being taught. Despite failing to demonstrate that the four authors actually thought that facts prevent understanding, Daisy refers to a ‘common trope’ between them. “They all set up polar opposites between facts, which are generally seen as bad, and something else, which is generally seen as good” (p.13). But they don’t. According to the evidence cited, what the writers objected to was the way facts were presented in schools. The alternatives they proposed might not be any better, but it doesn’t follow that any of them thought that facts, per se, were bad. The origins of the myth, according to the author, lie with Rousseau. His emphasis was actually on what children could learn from interactions with the harsh reality of nature as distinct from than human interventions that were frequently ineffectual. Although Rousseau’s influence is clearly traceable through to modern educational practice, his underlying idea that understanding is as important as factual knowledge is also exemplified in John Locke (who influenced Rousseau), in the Socratic method and in the books of Proverbs and Ecclesiastes, taking it back to several centuries BC. In other words, a distinction between facts and understanding was around for quite a while before Rousseau appeared on the scene. Daisy acknowledges “sometimes it is argued that these theorists were not hostile to facts per se, merely to certain prescriptive and artificial methods of learning such facts” (p.13) and says she considers this argument in full in the following chapter. What she actually does in that chapter is to quote Rousseau on endless questions from teachers, children’s curiosity and rote learning, Dewey on the correlation of school subjects, and Freire on the co-construction of learning, none of which says anything about hostility to facts. She concludes that the national curriculum ‘opposes’ subject content and subject concepts just as Rousseau, Dewey, Freire and Dickens allegedly ‘opposed’ facts with “meaning, understanding, reasoning, significance…imagination or creativity” (p.13). Her evidence from the national curriculum certainly demonstrates a move towards subject concepts at the expense of subject content, but that’s a far cry from propagating the idea that ‘facts prevent understanding’. Yet by the end of the chapter on myth 1, theorists and government agencies are described as ‘sceptical about the value of facts’. By the end of the chapter on myth 2, theorists have become ‘hostile’ to facts. What Daisy does, in effect, is to lump together all ideas that include any reservations whatsoever about factual information, who presents it or how it is presented, and assume that what they all boil down to is a belief that ‘facts prevent understanding’. They don’t, of course. “…Berger and Luckman looked at the way that many of the facts we perceived to be true were in fact social constructions. They did not objectively exist out there somewhere. They were brought into being because we all believed in them, and very often they were buttressed by institutional power” (p.109). (Daisy’s emphasis). What she doesn’t appear to have thought through is why anyone could see truth, facts and knowledge as problematic. Yet these concepts have had philosophers, historians, lawyers and scientists scratching their heads for centuries. This isn’t because of hostility to facts – all these disciplines actively seek out facts – but because it’s very difficult for human beings to determine what is true and therefore factual. Each of these disciplines is well aware that facts involve degrees of uncertainty and has had to devise ways of evaluating the reliability and validity of evidence behind the facts. The root of the problem isn’t that some people think that facts do not ‘objectively exist out there somewhere’ but that our awareness of what is objectively ‘out there somewhere’ is at the mercy of our perception, which is notoriously unreliable. Ironically cognitive science has recently begun to identify the mechanisms behind the vagaries of human perception that have been so perplexing for so long. Much of the information transmitted in schools is backed by pretty solid evidence, so for all intents and purposes we can refer to it as factual; e.g. how photosynthesis works, what happens during volcanic eruptions, where and when the battle of Hastings took place, the rules of algebra. Other information is less certain; how subatomic particles behave, evolution, climate change, the causes of WW1. In the latter examples, trying to determine whether the information is factual or not is unhelpful. It’s more informative to frame it in terms of the reliability and validity of the evidence and what conclusions can be drawn about it. I think Daisy is right that currently these skills might be being introduced prematurely, before children have a sufficient grasp of the data and the structure of the relevant knowledge domain, but sooner or later students need to be introduced to uncertainty in knowledge and how to tackle it. The problematic nature of facts doesn’t mean that all facts are equally problematic. Nor does it mean that they are all equally unproblematic. The factualness of information varies, and students need to know how and why it varies. The evidence that Daisy presents suggests that social constructivism has had a disproportionate influence on educational theory. That’s not surprising given the importance of social interaction and verbal communication in education; education lends itself to a social constructivist paradigm. But this disproportionate influence has resulted in findings from other relevant knowledge domains relevant to education being overlooked. These include fields relating to child development such as genetics, molecular biology, linguistics and developmental and cognitive psychology, and those relating to structural issues such as organisational psychology and the history of education. I think Daisy is right to highlight the dominance of certain ideas, but she has oversimplified a complex situation. She’s taken groups of ideas with common themes – such as facts, teacher authority, an integrated curriculum – and assumed that one, often extreme, related idea can exemplify all the ideas in a group. Another oversimplification crops up in relation to cognitive science, the subject of my next post. In my previous post, I said that I felt that in Getting It Wrong From The Beginning: Our Progressive Inheritance from Herbert Spencer, John Dewey and Jean Piaget Kieran Egan was too hard on Herbert Spencer and didn’t take sufficient account of the context in which Spencer formulated his ideas. In this post, I look in more detail at the ideas in question and Egan’s critique of them. Egan says that the “holy grail of progressiveness … has been to discover methods of school instruction derived from and modelled on children’s effortless learning … in households, streets and fields” (pp.38-39). In essence, progressives like Spencer see all learning as occurring in the same way, implying that children find school learning difficult only because it doesn’t take into account how they learn naturally. Their critics see school learning as qualitatively different to natural learning; it requires thinking, and thinking doesn’t come naturally and is effortful so students don’t like it. It’s inaccurate to describe the learning children do in ‘households, streets and fields’ as ‘effortless’. Apparently effortless would be more accurate. That’s because a key factor in learning is rehearsal. Babies and toddlers spend many, many hours rehearsing their motor, language, and sensory processing skills and in acquiring information about the world around them. Adolescents do the same in respect of interacting with peers, using video games or playing in a band. Adults can become highly competent in the workplace or at cooking, motor mechanics or writing novels in their spare time. What makes this learning appear effortless is that the individuals are highly motivated to put in the effort, so the learning doesn’t feel like work. I think there are three main motivational factors in so-called ‘natural learning’; sensory satisfaction (in which I’d include novelty-seeking and mastery), social esteem and sheer necessity – if it’s a case of acquiring knowledge and skills or starving, the acquisition of knowledge and skills usually wins. School learning tends to differs from ‘natural’ learning in two main respects. One is motivational. School learning is essentially enforced – someone else decides what you’re going to learn about regardless of whether you want to learn about it or see an immediate need to learn about it. The other is that the breadth of the school curriculum means that there isn’t enough time for learning to occur ‘naturally’. If I were to spend a year living with a Spanish family or working for a chemist I would learn more Spanish or chemistry naturally than I would if I had two Spanish or chemistry lessons a week at school simply because the amount of rehearsal time would be more in the Spanish family or in the chemistry lab than it would be in school. Schools generally teach the rules of languages or of science explicitly and students have to spend more time actively memorising vocabulary and formulae because there simply isn’t the time available to pick them up ‘naturally’. Egan’s criticism of Spencer’s ideas centres around three core principles of progressive education; simple to complex, concrete to abstract and known to unknown – Egan calls the principles ‘myths’. Egan presents what at first appears to be a convincing demolition job on all three principles, but the way he uses the constructs involved is different to the way in which they are used by Spencer and/or by developmental psychology. Before unpacking Egan’s criticism of the core principles, I think it would be worth looking at the way he views cognition. Egan frequently refers to the concept of ‘mind’. ‘Mind’ is a useful shorthand term when referring to activities like feeling, thinking and learning, but it’s too vague a concept to be helpful when trying to figure out the fine detail of learning. Gilbert Ryle points out that even in making a distinction between mind and body, as Descartes did, we make a category error – a ‘mind’ isn’t the same sort of thing as a body, so we can’t make valid comparisons between them. If I’ve understood Ryle correctly, what he’s saying is that ‘mind’ isn’t just a different type of thing to a body, ‘mind’ doesn’t exist in the way a body exists, but is rather an emergent property of what a person does – of their ‘dispositions’, as he calls them. Emergent properties that appear complex and sophisticated can result from some very simple interactions. An example is flocking behaviour. At first glance, the V-formation in flight adopted by geese and ducks or the extraordinary patterns made by flocks of starlings before roosting or by fish evading a predator look pretty complex and clever. But in fact these apparently complex behaviours can emerge from some very simple rules of thumb (heuristics) such as each bird or fish maintaining a certain distance from the birds or fish on either side of them, and moving in the general direction of its neighbours. Similarly, some human thinking can appear complex and sophisticated when in fact it’s the outcome of some simple biological processes. ‘Minds’ might not exist in the same way as bodies do, but brains are the same kind of thing as bodies and do exist in the same way as bodies do, and brains have a significant impact on how people feel, think, and learn. Egan appeals to Fodor’s model of the brain in which “we have fast input systems and and a slower, more deliberative central processor” (p.39). Fodor’s fast and ‘stupid’ input systems are dedicated to processing particular types of information and work automatically, meaning that we can’t not learn things like motor skills or language. Fodor is broadly correct in his distinction, but I think Egan has drawn the wrong conclusions from this idea. A core challenge in research is that often more than one hypothesis offers a plausible explanation for a particular phenomenon. The genius of research is in eliminating the hypotheses that actually don’t explain the phenomenon. But if you’re not familiar with a field and you’re not aware that there are competing hypotheses, it’s easy to assume that there’s only one explanation for the data. This is what Egan appears to do in relation to cognitive processes; he sees the cognitive data through the spectacles of a model that construes natural learning as qualitatively different to the type of learning that happens in school. Egan assumes that the apparent ease with which children learn to recognise faces or pick up languages and the fact that there are dedicated brain areas for face recognition and for language implies that those functions are inbuilt automatic systems that result in effortless learning. But that’s not the only hypothesis in town. What’s equally possible that face-recognition and language need to be learned. There’s general agreement that the human brain is hard-wired to extract signals from noise – to recognise patterns – but the extent to which patterns are identified and learned depends on the frequency of exposure to the patterns. For most babies, human facial features are the first visual pattern they see, and it’s one they see a great many times during their first day of life, so it’s not surprising that, even at a few hours old, they ‘prefer’ facial features the right way up rather than upside down. It’s a relatively simple pattern, so would be learned quickly. Patricia Kuhl’s work on infants’ language acquisition suggests that a similar principle is in operation in relation to auditory information – babies’ brains extract patterns from the speech they hear and the rate at which the patterns are extracted is a function of the frequency of exposure to speech. The patterns in speech are much more complex than facial features, so language takes much longer to learn. Egan’s understanding of mind and brain colours the way he views Spencer’s principles. He also uses the constructs embedded in the principles in a different way to Spencer. As a consequence, I feel his case against the principles is considerably weakened. Spencer’s moment of epiphany with regard to education was when he realised that the gradual transition from simple to complex observed in the evolution of living organisms, the way human societies have developed and the pre-natal development of the foetus, also applied to the way human beings learn. Egan points out that this idea was challenged by the discovery of the second law of thermodynamics which states that isolated systems evolve towards maximum entropy – in other words complexity tends to head towards simplicity, the opposite of what Spencer and the evolutionists were claiming. What critics overlook is that although the second law of thermodynamics applies to the isolated system of the universe as a whole and any isolated system within it, most systems in the universe aren’t isolated. Within the vast, isolated universe system, subatomic particles, chemicals and living organisms are interacting with each other all the time. If that wasn’t the case, complex chemical reactions wouldn’t happen, organisms wouldn’t change their structure and babies wouldn’t be born. I think Egan makes a valid point about early human societies not consisting of simple savages, but human societies, like the evolution of living organisms, chemical reactions, the development of babies and the way people learn if left to their own devices, do tend to start simple and move towards complex. Egan challenges the application of this principle to education by suggesting that the thinking of young children can be very complex as exemplified by their vivid imaginations and “mastering language and complex social rules when most adults can’t program a VCR” (p.62). He also claims this principle has “hidden and falsified those features of children’s thinking that are superior to adults’” (p.90), namely children’s use of metaphor that he says declines once they become literate (p.93). I think Egan is right that Spencer’s idea of cognition unfolding along a predetermined straight developmental line from simple to complex is too simplistic and doesn’t pay enough attention to the role of the environment. But I think he’s mistaken in suggesting that language, social behaviour and metaphor are examples of complex thinking in children. Egan himself attributes young children’s mastery of language and complex social rules to Fodor’s ‘stupid’ systems, which is why they are often seen as a product of ‘natural’ learning. Children might use metaphor more frequently than adults, but that could equally well be because adults have wider vocabularies, more precise terminology and simply don’t need to use metaphor so often. Frequency isn’t the same as complexity. Research into children’s motor, visuo-spatial, auditory, and cognitive skills all paints the same picture; that it starts simple and gets more complex over time. By ‘abstract’ Spencer appears to have meant the abstraction of rules from concrete examples; the rules of grammar from speech, of algebraic rules from mathematical relationships, the laws of physics and chemistry from empirical observations and so on. Egan’s idea of ‘abstract’ is different – he appears to construe it as meaning ‘intangible’. He claims that children are capable of abstract thought because they have no problem imagining things that don’t exist, giving the example of Beatrix Potter’s Peter Rabbit (p.61). Peter Rabbit certainly isn’t concrete in the sense of actually existing in the real world, but all the concepts children need to comprehend his story are very concrete indeed; they include rabbits, items of clothing, tools, vegetables and gardens. And the ‘abstract’ emotions involved – anger, fear, security – are all ones with which children would be very familiar. Egan isn’t using ‘abstract’ in the same way as Spencer. Egan also claims that children’s ability to understand symbolic relationships means that Spencer was wrong. However, as Egan points out, symbols are ‘arbitrarily connected with what they symbolize’ and the ‘ready grasp of symbols’ is found in ‘children who are exposed to symbols’ which suggests that actually the children’s thinking does start with the concrete (what the symbols represent) and moves towards the abstract (the symbols and their arbitrary connection with what they symbolize). Spencer might have over-egged the pudding with respect to concrete to abstract principle, but I don’t think Egan manages to demonstrate that he was wrong. With regard to point 1, Spencer clearly wasn’t saying we have to know something in order to know anything else. What he was saying is that trying to get children to learn things that are completely unconnected with what they already know is likely to end in failure. I can’t see how, in point 2, reducing the amount of novelty doesn’t solve the problem. If I were to attend a lecture delivered in Portuguese about the Higgs’ boson, the amount of novelty involved would be so high (I know only one Portuguese word and little about sub-atomic physics) that I would be likely to learn nothing. If, however, it was a Royal Institution Christmas Lecture in English for a general audience, the amount of novelty would be considerably reduced and I would probably learn a good deal. Exactly how much would depend on my prior knowledge about sub-atomic physics. I do agree with Egan’s point 3, in the sense that taking this principle to extremes would result in an impoverished curriculum, but that’s a problem with implementation rather than the principle itself. It’s ironic that Egan describes point 4 as the ‘four-legged fly’ item, since work on brain plasticity suggests that gradual content association, via the formation of new synapses, is precisely the way in which human beings do expand their understanding of the world. If we come across information with massive novel content, we tend to simply ignore it because of the time required to gather the additional information we need in order to make sense of it. Egan’s critique of Spencer’s ideas is a pretty comprehensive one. For him, Spencer’s ideas are like the original version of the curate’s egg – not that parts of them are excellent, but that they are totally inedible. Egan says “I have already indicated that I consider the traditional-liberal principles equally as problematic as the progressive beliefs I am criticising” (p.54), but I couldn’t see where he’d actually done so. A number of times Egan refers with apparent approval to some of the features commonly associated with a traditional-liberal education. He’s clearly uneasy about framing education in utilitarian terms, as Spencer did, but then Spencer was criticising a curriculum that was based on tradition and “the ornamental culture of the leisured class”. In the section entitled “What is wrong with Spencer’s curriculum?” (p.125ff) Egan highlights Spencer’s dismissal of grammar, history, Latin and the ‘useless arts’. In doing so, I think he has again overlooked the situation that Spencer was addressing. As I understand it, the reason that Greek and Latin were originally considered essential to education was that for centuries in Europe, ancient Greek and Latin texts were the principal source of knowledge, as well as Latin being the lingua franca. From the Greek and Latin texts, you could get a broad understanding of what was known about literature, history, geography, theology, science, mathematics, politics, economics and law. If they understood what worked and what went wrong in Greek and Roman civilisations, boys from well-to-do families – the future movers and shakers – would be less likely to repeat the errors of previous generations. Over time, as contemporary knowledge increased and books were more frequently written in the vernacular, the need to learn Greek and Latin became less important; it persisted often because it was traditional, rather than because it was useful. I’ve noticed that the loudest cries for reform of the education system in the English-speaking world have come from those with a background in subjects that involve high levels of abstraction; English, history, mathematics, philosophy. Egan’s special interest is in imaginative education. I’ve heard hardly a peep from scientists, geographers or PE teachers. It could be that highly abstracted subjects have been victims of the worst excesses of progressivism – or that in highly abstracted subjects there’s simply more scope for differences of opinion about subject content. I can understand why Egan is wary of utility being the guiding principle for education; it’s too open to exploitation by business and politicians, and education needs to do more than train an efficient workforce. But I’m not entirely clear what Egan wants to see in its place. He appears to see education as primarily for cultural purposes; so we can all participate in what Oakeshott called ‘the conversation of mankind’, a concept mentioned by other new traditionalists, such as Robert Peal and Toby Young. Egan sees a good education as needing to include grammar, Latin and history because they are pieces of the complex image that makes up ‘what we expect in an educated person'(p.160). I can see what he’s getting at, but this guiding principle for education is demonstrably unhelpful. We’ve been arguing about it at least since Spencer’s day, and have yet to reach a consensus. In my view, education isn’t about a cultural conversation or about utility, although it involves both. But it should be useful. The more people who get a good knowledge and understanding of all aspects how the world the works, the more likely our communities are to achieve a good, sustainable standard of living and decent quality of life. We need our education system to produce people who make the world a better place, not just people who can talk about it. Alongside a recommendation to read Robert Peal’s Progressively Worse, came another to read Kieran Egan’s Getting It Wrong From The Beginning: Our Progressive Inheritance from Herbert Spencer, John Dewey and Jean Piaget. Egan’s book is in a different league to Peal’s; it’s scholarly, properly referenced and published by a mainstream publisher not a think-tank. Although it appears to be about Spencer, Dewey and Piaget, Egan’s critique is aimed almost solely at Spencer; Piaget’s ideas are addressed, but Dewey hardly gets a look in. During the first chapter – a historical sketch of Spencer and his ideas – Egan and I got along swimmingly. Before I read this book my knowledge of Spencer would have just about filled a postage stamp (I knew he was a Victorian polymath who coined the term ‘survival of the fittest’) so I found Egan’s account of Spencer’s influence illuminating. But once his analysis of Spencer’s ideas got going, we began to part company. My first problem with Egan’s analysis was that I felt he was unduly hard on Spencer. There is a sense in which he has to be because he lays at Spencer’s feet the blame for most of the ills of the education systems in the English-speaking world. Spencer is portrayed as someone who dazzled the 19th century public in the UK and America with his apparently brilliant ideas, which were then rapidly discredited towards the end of his life and soon after his death he was forgotten. Yet Spencer, according to Egan, laid the foundation for the progressive ideas that form the basis for the education system in the US and the UK. That poses a problem for Egan because he then has to explain why, if Spencer’s ideas were so bad that academia and the public dismissed them, in education they have not only persisted but flourished in the century since his death. Egan tackles this conundrum by appealing to three metaphors; the curate’s egg, the emperor’s new clothes and Aristotle’s flies. 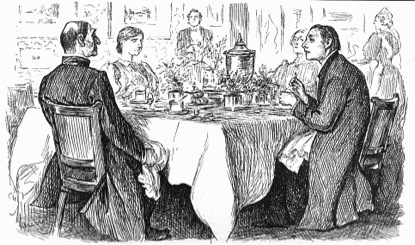 The curate’s egg – ‘good in parts’ – is often used to describe something of variable quality, but Egan refers to the original Punch cartoon in which the curate, faced with a rotten egg for breakfast, tries to be polite to his host the bishop. The emperor’s new clothes require no explanation. In other words, Egan explains the proliferation of Spencer’s educational theories as partly down to deference to someone who was once considered a great thinker, and partly to people continuing to believe something despite the evidence of their own eyes. The Aristotle’s flies metaphor does require more explanation. Egan claims “Aristotle’s spells are hard to break. In a careless moment he wrote that flies have four legs. Despite the easy evidence of anyone’s eyes, his magisterial authority ensured that this “fact” was repeated in natural history texts for more than a thousand years” (p.42). In other words, Spencer’s ideas, derived ultimately from Aristotle’s, have, like Aristotle’s, been perpetuated because of his ‘magisterial authority’ – something which Egan claims Spencer lost. It’s certainly true that untruths can be perpetuated for many years through lazy copying from one text to another. But these are usually untruths that are hard to disprove – the causes of fever or the existence of the Loch Ness monster, or, in Aristotle’s case, the idea that the brain cooled the blood, for example – not untruths that could be dispelled in a few second’s observation by a child capable of counting to six. Aristotle’s alleged ‘careless moment’ caught my attention because ‘legs’ pose a particular challenge for comparative anatomists. Aristotle was interested in comparative anatomy and was a keen and careful observer of nature. It’s unlikely that he would have had such a ‘careless moment’, and much more likely that the error would have been due to a mistranslation. The challenge of ‘legs’ is that in nature they have a tendency over time to morph into other things – arms in humans and wings in birds for example. Anyone who has observed a housefly for a few seconds will know that houseflies frequently use their first pair of legs for grooming – in other words, as arms. I thought it quite possible that Aristotle categorised the first pair of fly legs as ‘arms’ so I looked for the reference. Egan doesn’t give it but the story about the four-legged fly idea being perpetuated for a millennium is a popular one. In 2005 it appeared in an article in the journal European Molecular Biology Organisation Reportsand was subsequently challenged in 2008 in a zoology blog. Aristotle’s observation is in a passage on animal locomotion and the word for ‘fly’ – ephemeron – is translated by D’Arcy Thompson as ‘dayfly’ – also commonly known as the mayfly (order Ephemeroptera, named for their short adult life). 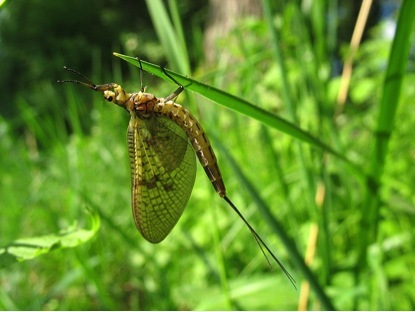 In mayfly the first pair of legs is enlarged and often held forward off the ground as the males use them for grasping the female during mating. So the fly walks on four legs – the point Aristotle is making. Egan’s book was published in 2002, before this critique was written, but even before the advent of the internet it wouldn’t have been difficult to check Aristotle’s text – in Greek or in translation. I felt also that much of Egan’s criticism of Spencer was from the vantage point of hindsight. Spencer was formulating his ideas whilst arguments about germ theory were ongoing, before the publication of On the Origin of Species, before the American Civil war, before all men (never mind women) were permitted to vote in the UK or the US, before state education was implemented in England, and a century before the discovery of the structure of DNA. His ideas were widely criticised by his contemporaries, but that doesn’t mean he was wrong about everything. It’s also important to set Spencer’s educational ideas in context. He was writing in an era when mass education systems were in their infancy and schools were often significantly under-resourced. Textbooks and exercise books were unaffordable not just for most families, but for many schools. Consequently schools frequently resorted to the age-old practice of getting children to memorise, not just the alphabet and multiplication tables, but everything they were taught. Text committed to memory could be the only access to books that many people might get during their lifetime. If the children didn’t have books they couldn’t take material home to learn so had to do it in school. Memorisation takes time, so teachers were faced with a time constraint and a dilemma – whether to prioritise remembering or explaining. Not surprisingly, memorisation tended to win, because understanding can always come later. Consequently, many children could recite a lot of text, but hadn’t got a clue what it meant. For many, having at least learned to read and write at school, their education actually began after they left school and had earned enough money to buy books themselves or could borrow them from libraries. This is the rote learning referred to as ‘vicious’ by early progressive educators. The sudden demand for teachers when mass education systems were first rolled out meant that schools had to get whatever teachers they could. Many had experience but no training and would simply expect children from very different backgrounds to those they had previously taught to learn the same material, such as reciting the grammatical rules of standard English when the children knew only their local dialect with different pronunciation, vocabulary and grammatical structure. For children in other parts of the UK it was literally a different language. The history of England, with its list of Kings and Queens was essentially meaningless to children whose only prior access to their nation’s history was a few stories passed down orally. This was why Spencer placed so much emphasis on the principles of simple to complex, concrete to abstract and known to unknown. Without those starting points, many children’s experience of education was one of bobbing about in a sea of incomprehension and getting more lost as time went by – and Spencer was thinking of middle-class children, not working-class ones for whom the challenge would have been greater. The problem with Spencer’s ideas was that they were extended beyond what George Kelly calls their range of convenience; they were taken to unnecessary extremes that were indeed at risk of insulting children’s intelligence. In the next post, I take a more detailed look at Egan’s critique of Spencer’s ideas. Daisy debunks myths: or does she? At the beginning of this month, Daisy Christodolou, star performer on University Challenge, CEO of The Curriculum Centre and a governor of the forthcoming Michaela Community School, published a book entitled Seven Myths about Education. Daisy has summarised the myths on her blog, The Wing to Heaven. There are few things I like better than seeing a myth debunked, but I didn’t rush to buy Daisy’s book. In fact I haven’t read it yet. Here’s why. Debunking educational ‘myths’ is currently in vogue. But some of the debunkers have replaced the existing myths with new myths of their own; kind of second-order myths. The first myth is at least partly wrong, but the alternative proposed isn’t completely right either, which really doesn’t help. I’ve pointed this out previously in relation to ‘neuromyths’. One of the difficulties involved in debunking educational myths is that they are often not totally wrong, but in order to tease out what’s wrong and what’s right, you need to go into considerable detail, and busy teachers are unlikely to have the time or background knowledge to judge whether or not the criticism is valid. Human beings have accumulated a vast body of knowledge about ourselves and the world we inhabit, which suggests strongly that the world operates according to knowable principles. It’s obviously necessary to be familiar with the structure and content of any particular knowledge domain in order to have a good understanding of it. And I agree with some of Daisy’s criticisms of current approaches to learning. So why do I feel so uneasy about what she’s proposing to put in its place? Claim one: “that in English education, a certain set of ideas about education are predominant…” Daisy points out that it’s difficult to prove or disprove the first claim, but cites a number of sources to support it. Claim two: “that these ideas are misguided”. Daisy says “Finding the evidence to prove the second point was relatively straightforward” and lists a number of references relating to working and long-term memory. The responses to claim one suggest that Daisy is probably right that ‘certain ideas’ are predominant in English education. She is also broadly right when she says “it is scientifically well-established that working memory is limited and that long-term memory plays a significant role in the human intellect” – although she doesn’t define what she means by ‘intellect’. Her reasoning appears to follow that of Kirschner, Sweller & Clark, who lump together ‘constructivist, discovery, problem-based, experiential, and inquiry-based teaching’ under the heading ‘minimal instruction’ and treat them all as one. The authors then make the assumption that because some aspects of ‘minimal instruction’ might impose a high cognitive load on students, it should be discarded in favour of ‘direct instruction’ that takes into account the limitations of working memory. This is the point at which I parted company with Daisy (and Kirschner, Sweller & Clark). Lumping together a set of complex and often loosely defined ideas and approaches to learning is hardly helpful, since it’s possible that some of their components might overload working memory, but others might not. I can see how what we know about working and long-term memory demonstrates that some aspects of the predominant ‘certain set of ideas’ might be ‘misguided’, but not how it demonstrates that they are misguided en masse. I also had reservations about the evidence Daisy cites in support of claim two. First on the list is Dan Willingham’s book Why Don’t Students Like School? Willingham is a cognitive psychologist interested in applying scientific findings to education. I haven’t read his book either*, but I’ve yet to come across anything else he’s written that has appeared flawed. Why Don’t Students Like School? appears to be a reliable, accessible book written for a wide readership. So far, so good. Next, Daisy cites Kirschner, Sweller and Clark’s paper “Why minimal guidance during instruction does not work: an analysis of the failure of constructivist, discovery, problem-based, experiential, and inquiry-based teaching”. This paper is obviously harder going than Willingham’s book, but is published in Educational Psychologist, so would be accessible to many teachers. I have several concerns about this paper and have gone through its arguments in detail. • why a model of memory that’s half a century out of date is referred to. That last point could apply to the next three items on Daisy’s list; two papers by Herb Simon, a Nobel prizewinner whose ideas have been highly influential in information theory, and one by John Anderson on his Adaptive Character of Thought model. Simon’s papers were published in 1973 and 1980 respectively, and Anderson’s in 1996 although his model dates from the 1970s. Another feature of these papers is that they’re not easy reading – if you can actually get access to them, that is. Daisy’s links were to more links and I couldn’t get the Simon papers to open. And although Anderson’s paper is entitled ‘A simple theory of complex cognition’, what he means by that is that an apparently complex cognitive process can be explained by a simple information processing heuristic, not that his theory is easy to understand. He and Simon both write lucidly, but their material isn’t straightforward. I completely agree with Daisy that the fundamentals of a knowledge domain don’t date – as she points out elsewhere, Pythagoras and Euripides have both stood the test of time. There’s no question that Simon’s and Anderson’s papers are key ones – for information scientists at least – and that the principles they set out have stood the test of time too. But quite why she should cite them and not more accessible material that takes into account several further decades of research into brain function, is puzzling. It could be that there simply aren’t any publications that deal specifically with recent findings about memory and apply them to pedagogy. But even if there aren’t, it’s unlikely that most teachers would find Simon and Anderson the most accessible alternatives; for example Rita Carter’s Mapping the Mind is a beautifully illustrated, very informative description of how the brain works. (It’s worth forking out for the University of California Press edition because of the quality of the illustrations). Stanislas Dehaene’s Reading in the Brain is about reading, but is more recent and explains in more detail how the brain chunks, stores and accesses information. It looks to me as if someone has given Daisy some key early references about working memory and she’s dutifully cited them, rather than ensuring that she has a thorough grasp of the knowledge domain of which they are part. If that’s true, it’s ironic, because having a thorough grasp of a knowledge domain is something Daisy advocates. So Daisy’s logic is a bit flaky and her evidence base is a bit out of date. So what? The reason Daisy’s logic and evidence base are important because they form the foundation for an alternative curriculum being used by a chain of academies and a high-profile free school. Daisy’s name doesn’t appear in the ‘who we are’ or ‘our advisors’ sections of The Curriculum Centre’s (supporting Future Academies) website, although their blog refers to her as their CEO. That might indicate the site simply needs updating. But disappointingly for an organisation describing itself as The Curriculum Centre their ‘complete offer – The Future Curriculum™ – is described as ‘information coming soon’, and the page about the three year KS2 curriculum is high on criticism of other approaches but low on information about itself. One has to wonder why the ‘traditional academic subjects’ don’t appear to be preparing pupils for careers with a more practical bent, such as doctors, economists or engineers. No, they’re not. They are useful tools in accessing other learning, but non-English speakers who aren’t good at maths can be still be extremely knowledgeable. The rationale for teaching history chronologically is obvious, but history is more than a sequence of events, and it’s not clear why it’s framed in that way. Nor is there an explanation for why literature should be taught chronologically. Nor why other subjects shouldn’t be. As it happens, I’m strongly in favour of structuring the curriculum chronologically, but I know from experience it’s impossible to teach English, Maths, Science, History, Geography, a modern foreign language (French/Spanish), Music and Art chronologically and in parallel because your chronology will be out of synch across the different subject areas. I’ve used a chronological curriculum with my own children and it gave them an excellent understanding of how everything connects. We started with the Big Bang and worked forward from there. But it meant that for about a year our core focus was on physics, chemistry and geography because for much of the earth’s history nothing else existed. I don’t get the impression Michaela or the Curriculum Centre have actually thought through curriculum development from first principles. I couldn’t help wondering why ‘British’ came before local and world history. And why highlight religions and ‘their enduring influence’? It could be that the curriculum section doesn’t summarise the curriculum very well, or it could be that there’s an agenda here that isn’t being made explicit. I’m not convinced that Daisy has properly understood how human memory works, has used what’s been scientifically established about it to debunk any educational myths, or has thoroughly thought through its implications for classroom practice. Sorry, Daisy, but I think you need to have another go. Carter, R (2010). Mapping the Mind. University of California Press. Dehaene, S (2010). Reading in the Brain. Penguin. Willingham, DT (2010). Why Don’t Students Like School? Jossey Bass. * My bookshelves are groaning under the weight of books I’ve bought solely for the purpose of satisfying people who’ve told me I can’t criticise what someone’s saying until I’ve read their book. Very occasionally I come across a gem. More often than not, one can read between the lines of reviews.